In California, medical marijuana remains legal and many believe that next year voters may get to decide if the state will take the next step and legalize recreational marijuana. An NBC undercover investigation showed that the state is already closer to legal, recreational use than it might seem. The NBC Bay Area Investigative Unit went undercover during “HempCon,” an annual show and competition for users and producers of medical marijuana. The Investigative Unit found that it was astoundingly easy to gain access to a medical marijuana card with little or no real medical reason. The complete lack of medical verification or examination makes California’s medical marijuana system look a lot more like the recreational systems in states such as Colorado and Washington. “Basically just say you have insomnia, lower back pains or something,” said a recruiter outside of HempCon in San Jose. She escorted the undercover team to a nearby motel where a doctor was performing on-site medical marijuana evaluations. On hidden camera, more than one recruiter suggested that insomnia was a common complaint that anyone could use. An NBC Bay Area investigative producer brought paperwork from his primary care physician indicating that he had heartburn. Less than 15 minutes later, he emerged from the hotel with a signed medical marijuana evaluation. He was never asked about heartburn and was not physically examined by the physician. The Investigative Unit showed its tape to Patrick Vanier, Santa Clara County Deputy District Attorney. Varnier supervises the narcotics prosecution team for the Santa Clara DA’s office. It is so easy to obtain a medical marijuana card in California that the system resembles actual recreational use. Hodges says that recreational legalization would resolve confusion about the legal status of marijuana in California. Even San Jose Mayor Licccardo agrees that the current system is closer to recreational than medical use. The medical marijuana industry in San Jose is robust and several large dispensaries operate in the city. Many insiders say that next year California voters could be asked to vote on as many as three different propositions calling for legalized recreational marijuana in the state of California. Yet, the difference between full legalization and the current system is slight. “There are more obstacles to getting recreational marijuana,” said Mayor Liccardo. “But I think we all agree its recreational marijuana at this point. 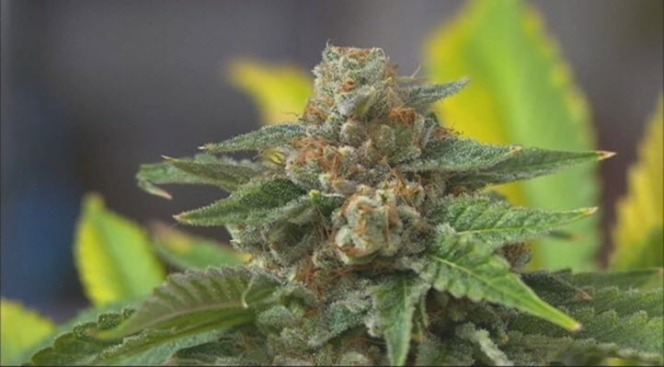 The NBC Bay Area Investigative Unit plans to destroy the medical marijuana evaluation and card without using it to purchase marijuana.